3. The Bill for Keeping of County-days. 1. The Bill for making large the Highways. 1. The Bill for Uses in Recoveries. - Mr. Moyle. 4. The Bill for Keeping of County-days. - Jud'm. L. 2. 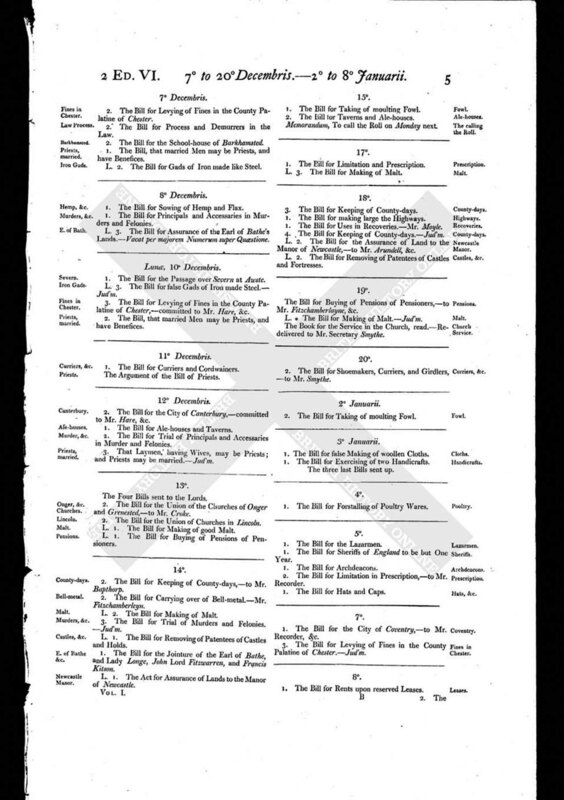 The Bill for the Assurance of Land to the Manor of Newcastle, - to Mr. Arundell, &c.
L. 2. The Bill for Removing of Patentees of Castles and Fortresses.